The weight reduction supplement, MetaSlim, does not have an official website and, indeed, concrete, detailed information concerning this product is sparse on the internet. The people selling and marketing this product online claim that it is a completely natural, thermogenic, ephedrine-free formula which will enable you to slim down. 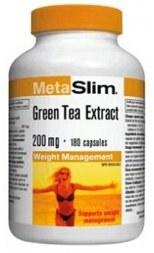 The main active ingredient in MetaSlim is Green Tea Extract. People who know about products for weight loss, will be aware that Green Tea extract ranks among the most frequently used ingredients in weight loss supplements these days. Bitter Orange Extract, that is also included in MetaSlim, is another popular ingredient, because increasing numbers of weight loss product manufacturers are employing it as a substitute for Ephedrine. Nonetheless, Bitter Orange Extract’s long term effects are still not known, and some medical practitioners have expressed concern that it might share too many similarities with the now-illegal Ephedrine. The supplement’s ingredients are comprised of: Cayenne Pepper, Ginger Root, Yerba Mate, Bitter Orange Extract & Green Tea Extract. There are several online shops that sell MetaSlim, and all the ingredients in the product are ingredients which are commonly discovered in other weight reduction supplements currently available. Bitter Orange Extract, that is present in MetaSlim, is also referred to as Synephrine. This is believed to be a safe substitute for the now prohibited Ephedrine by several weight loss product manufacturers. But, many experts are now also advising that Bitter Orange Extract could heighten the risk of a heart attack or a stroke. Indeed, anyone who suffers from blood pressure or heart problems should not take MetaSlim, and ought to be wary of any product based on Bitter Orange. Cayenne Pepper, that is also included in MetaSlim, is starting to become a popular weight loss product ingredient. Previously, Cayenne Pepper has been utilized in traditional types of medication, to assist people who suffer from cardiovascular ailments. These days, it is being utilized in products for weight loss, because it is thought to boost the metabolic rate. Traditionally, Yerba Mate is consumed by Indians in Peru and Brazil, and it is believed to possess stimulating characteristics comparable with caffeine. 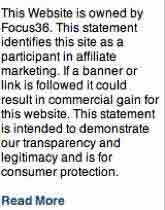 The product is available to buy from shops on the internet. A comprehensive ingredients list is provided for the supplement. The ingredients included in MetaSlim are usually discovered in other products for weight loss that are available for sale today. A refund guarantee does not seem to be offered for this product. Some experts have warned that Bitter Orange Extract will further the risk of a heart attack or a stroke. People who suffer from blood pressure or heart conditions should not consume the supplement. All in all, there is no real indication of how the manufacturer can think that their product is any different from the other weight loss supplements that contain identical ingredients. It is not possible, therefore, to see why anyone would choose MetaSlim over any similar product on the market. Can be purchased in store in many health related stores in Canada. GNC would be a good place to start. A product that is becoming incredibly popular in Canada is Phen375 – simply search this site for a the Phen375 review.